JRR Tolkien and Hobbit Fans! 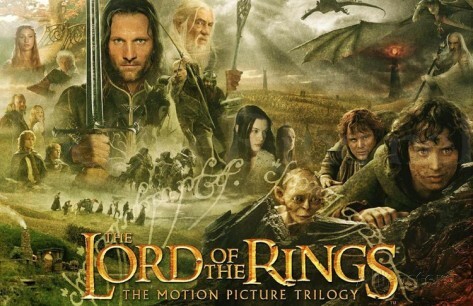 Peter Jackson’s final installment in his epic Tolkien saga! Coming to a theatre near you: December 17, 2014! Update: please be reassured that there will be access to pens for fans arriving on Monday. The provision of Sunday wristbands was put in place to allow those fans who arrive at Leicester Square early to leave and return.Due to overwhelming demand we have allocated all of the wristbands for today (Sunday). For fans arriving tomorrow (Monday) there will still be access to the fan pens, however this will be allocated on first come first served basis and as with all events of this nature a place is not guaranteed. Good Luck to EVERYONE headed to the premiere! Lady Anglophile…wishing everyone the best view possible. Fan Access Information for London Worldwide Premiere! Warner Bros has put out some very important information for all your Hobbits and Elves making the journey to London for the Worldwide Premiere of The Hobbit: The Battle of The Five Armies! So check this out, follow all the rules and you’ll have a great time!! Share pix with TAC and we’ll feature them on our Hobbit page! The Hobbit: The Battle of The Five Armies…the epic finale! 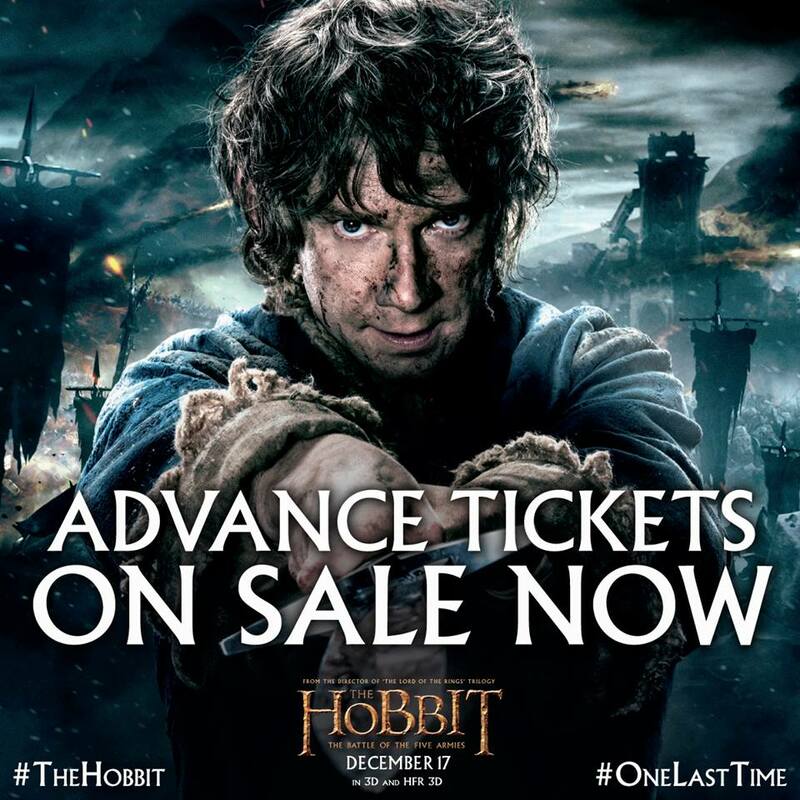 The Hobbit: The Battle of the Five Armies World Premiere is happening in London this Monday December 1 and for those lucky ones who’ll be able to view all the glitz and glamour from one of the pens, here’s a list of instructions you need to read on how to attain access to the event and the rules you need to adhere to. There will be no guaranteed access to the public viewing area without a wristband. Wristbands will be issued from 12noon on Sunday 30th December by security on a first come first serve basis. The wristbands are numbered and will be placed on the spectator’s wrist immediately and will not be transferable. Once your wristband is on, you should leave Leicester Square and not return until Monday 1st December at 12noon when the pens are loaded. Wristbands will be issued from the Odeon West End on Leicester Square. Access to the crowd pens will be for those with a numbered on the wristband. Any public who are found to be blocking doorways or the public footpath or restricting public or vehicle access in any way will not be issued a wristband and will be asked to move. Tents or camping will not be permitted on or around Leicester Square as it restricts access along the public footpath. There will be random bag searches of all public in the viewing areas in operation so we advise you to bring as little baggage as possible. Please take all your rubbish with you and keep the area clean. The organisers reserve the right to refuse admission to, remove or exclude any person who’s behaviour gives rise to concerns regarding the health and safety of the public, security, staff or themselves. Where someone is found to be in possession of an item that gives rise to health and safety concerns as above, they will be refused admission, removed and be reported to the police. For those of you unable to attend the event, make sure you tune into our player below where you’ll be able to view the World Premiere from the comfort of your own sofa. Lady Anglophile…Hobbit feet and Elf ears on and ready to watch! HobbitMania is in full swing in Los Angeles, California! 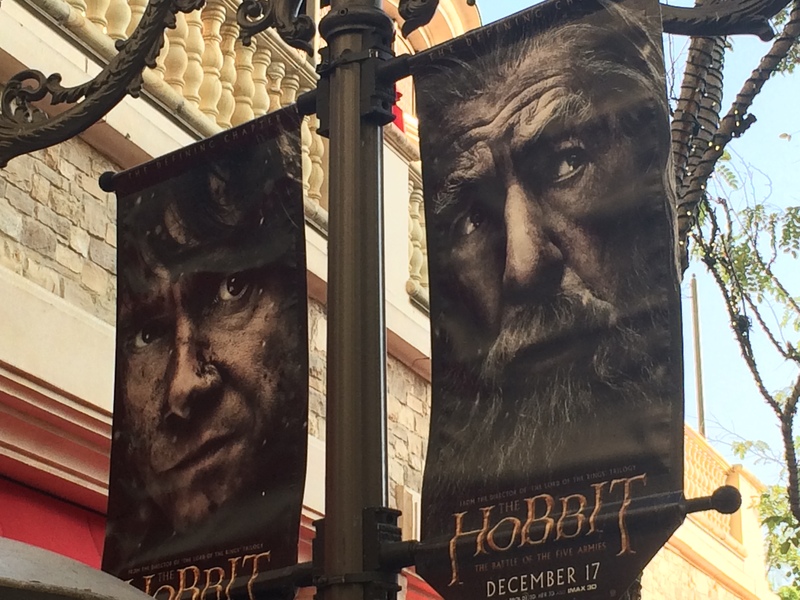 We were at The Grove LA yesterday and from the moment you entered the parking structure you were hit with massive Hobbit posters featuring all of our favorite characters! The war-torn faces of Gandalf, Bilbo, Thorin and Bard were everywhere you looked, building the excitement in every Hobbit fan’s heart! 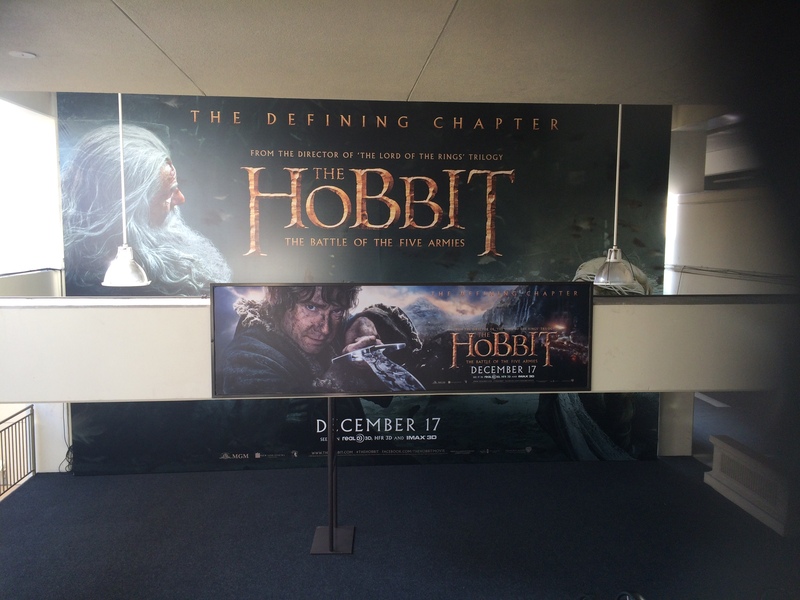 The parking structure at The Grove LA is blasted with fabulous Hobbit posters! Coming down the escalator, each level of the parking structure highlights a different poster. 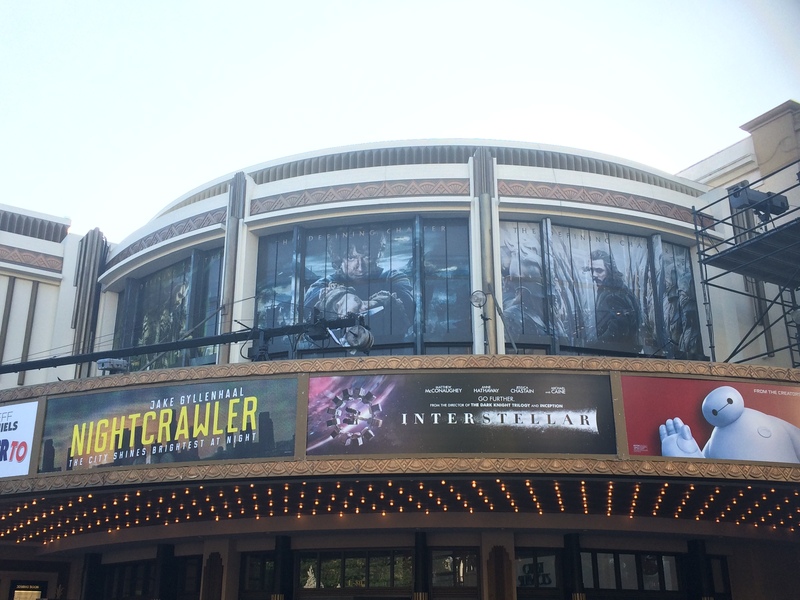 Once inside The Grove, banner flags of The Hobbit hung everywhere till finally you reach the theatre and see the top crown of the cinema marquee surrounded by the most heavily anticipated movie of the year! The top of the cinema is surrounded in Hobbit! In the coming weeks we’ll feature more Hobbit-related photos and other fun bits and bobs from around LA….all leading up to the exciting premiere of the defining Hobbit film! Lady Anglophile….elf ears to the ground! 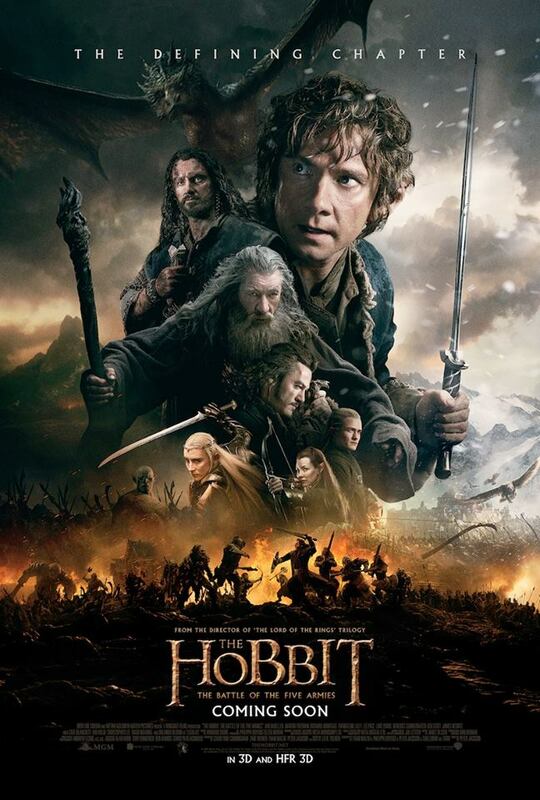 The Hobbit: The Battle of the Five Armies! Be the first to see it! Get your tickets now! This will be Richard Armitage‘s moment to shine. “Everything I did..I did for them.” says Thorin as he succumbs to his dragon-sickness. 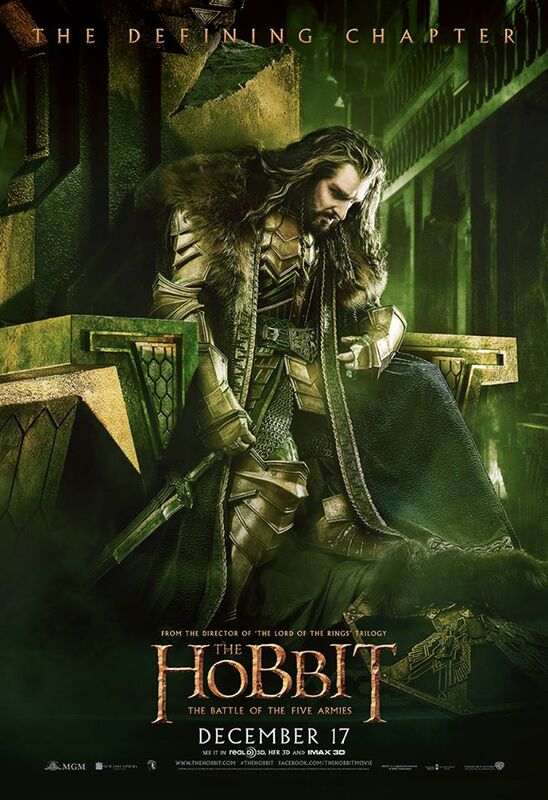 The King Under the Mountain, sacrifices friendship and honor in his search for the legendary Arkenstone. Unable to help Thorin see reason, Bilbo is driven to make a desperate and dangerous choice, not knowing that even greater perils lie ahead. 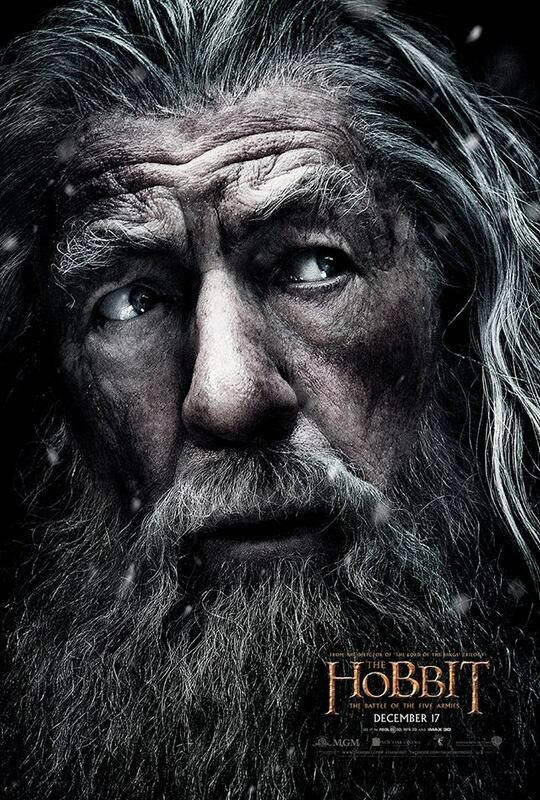 Dramatic, thrilling and emotional moments will rule this final film with Gandalf asking, “You have but one question to answer….How shall this day end?” The exciting trailer ends with Bilbo placing the ring on his finger one last time..and disappears. Do not see this film without a supply of tissues handy! 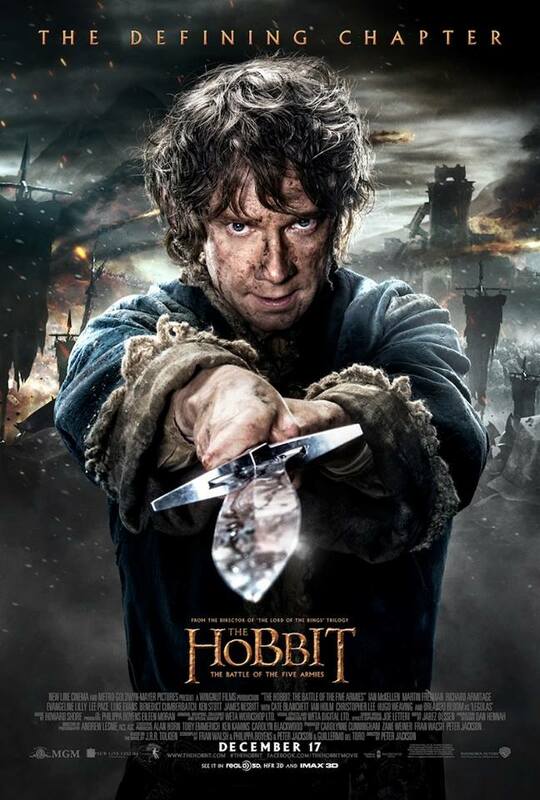 The Hobbit: The Battle of the Five Armies opens December 17th! Here it is! 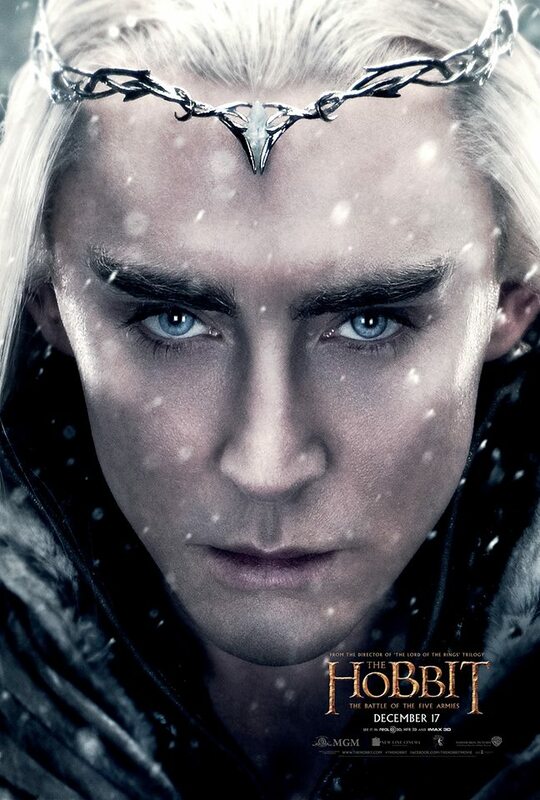 The moment Hobbit fans around the world have been anxiously waiting for! So there you have it! Answering the question that has long been on everyone’s lips: WHERE will the final Hobbit premiere take place? It seems London is the location of choice and the date is set for December 1st! And even more exciting, is the news that fans will have the opportunity to enter a contest for a chance at attending this monumentally milestone event in Peter Jackson-Tolkien-Lord Of The Rings- Hobbit history. Not only will the cast from The Hobbit film series be there, but the cast and creatives from all SIX films, making it the most epic film premiere staged since Gone With The Wind! Be sure to follow The Official Hobbit FACEBOOK page: https://www.facebook.com/TheHobbitMovie?fref=ts or at: http://www.thehobbit.net for more information and updates! Now…raise of hands…WHO wants to see The Anglophile Channel cover this amazing event? Lady Anglophile…that’s who! 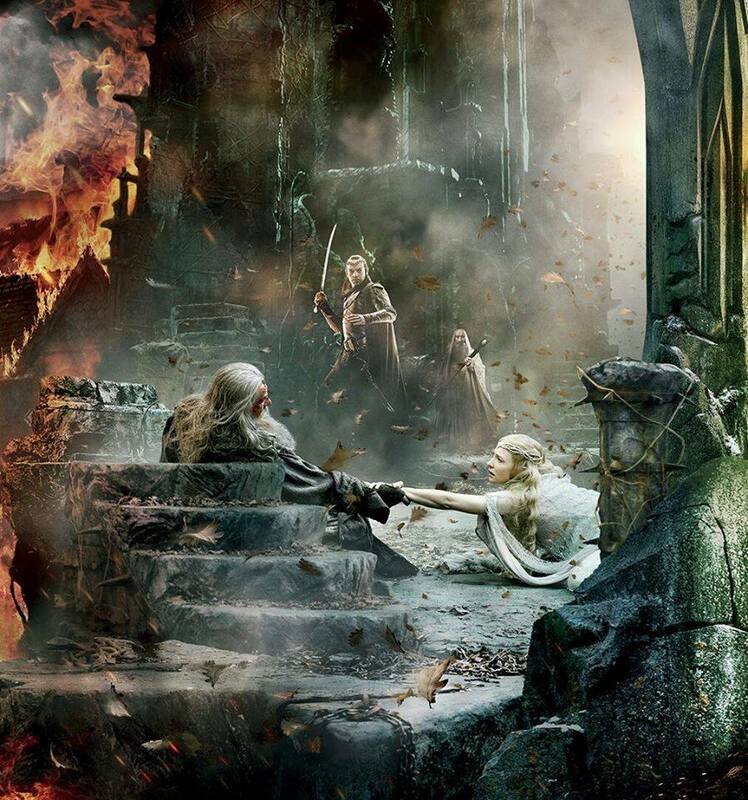 Which scene from The Hobbit: The Battle of the Five Armies are you most looking forward to seeing on the big screen? 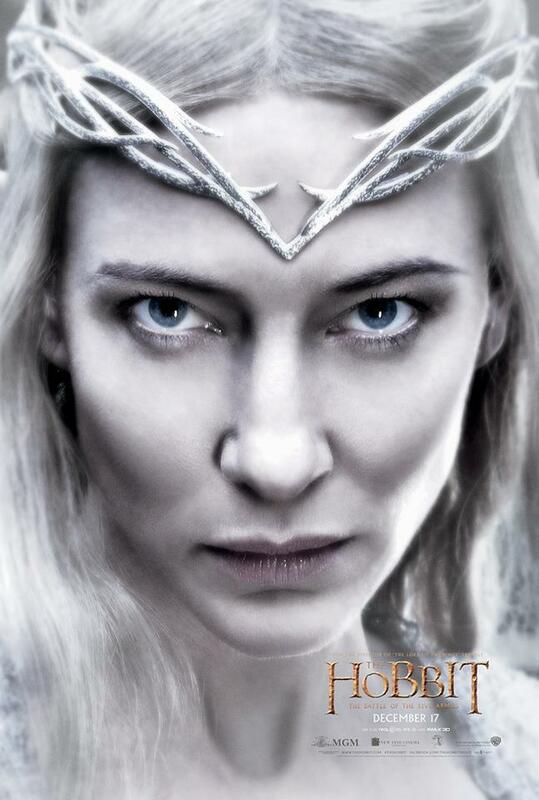 New international poster for The Hobbit: The Battle of the Five Armies! Did you enter The Hobbit Fan Fellowship Contest? Some lucky fans are going to get the opportunity to travel to New Zealand to tour filming locations for the Film and other locales and to attend a private screening of the The Hobbit: The Battle of The Five Armies with SIR PETER JACKSON himself!! If that’s not a Hobbit Fan dream come true I don’t know what is! Winners shall be announced soon! Some brilliant video submissions were entered. This team has an incredibly difficult task on their hands! GOOD LUCK TO EVERYONE! 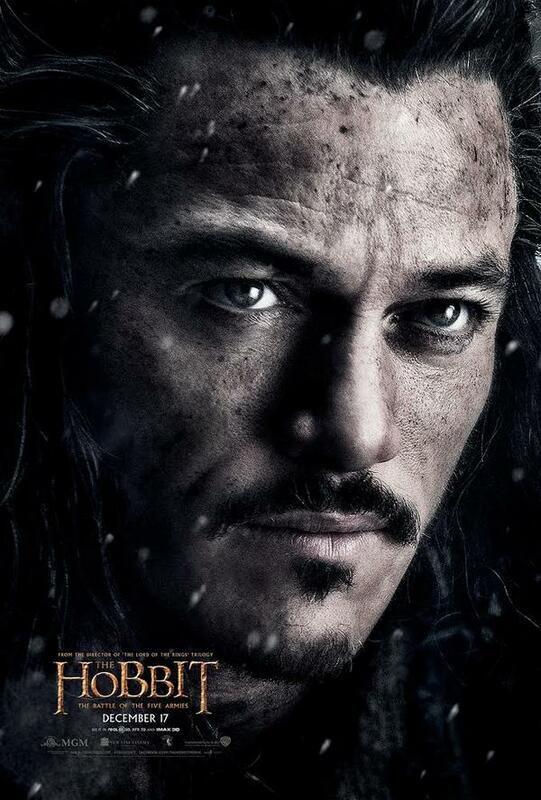 New Hobbit: The Battle of the Five Armies Posters Revealed Daily! Which Are Your favorites? 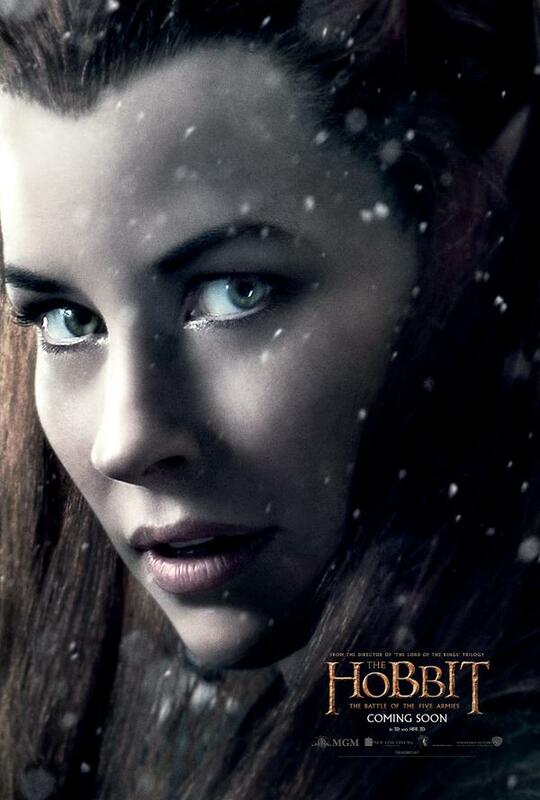 The beautiful Evangeline Lilly as Tauriel! 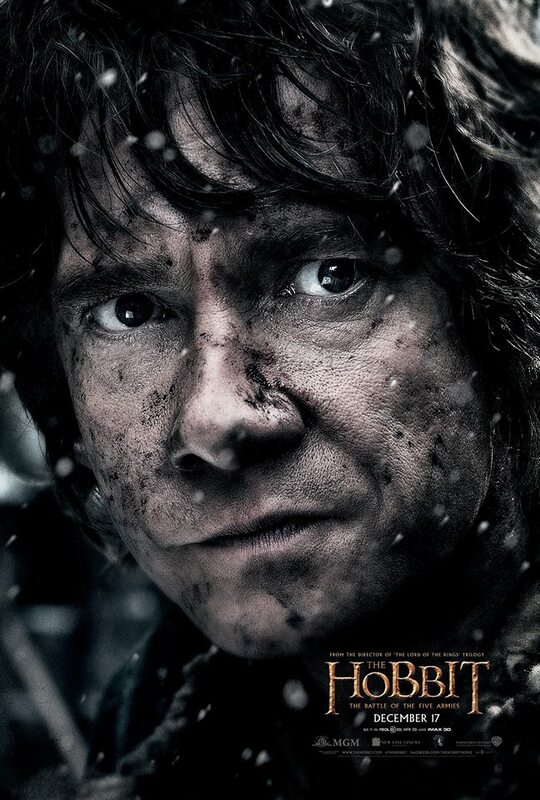 The final poster reveal featuring Martin Freeman. What an amazing arc this character has had from the first Hobbit film! Can you GUESS which one is Lady Anglophile’s favorite? Recording for The Hobbit: The Battle of the Five Armies Soundtrack is underway! 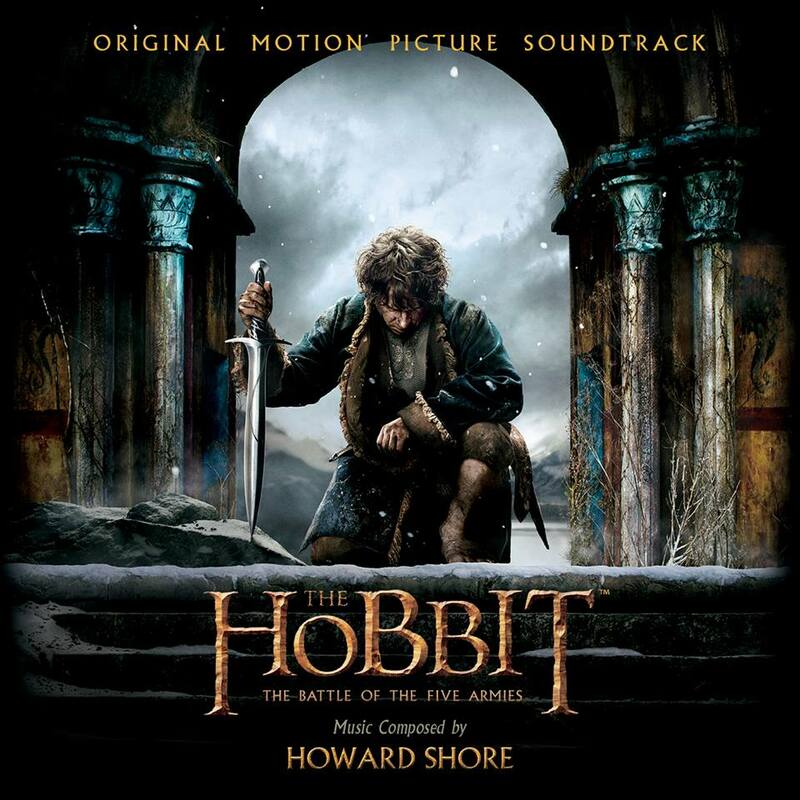 The album featuring music from Academy Award-winning composer, Howard Shore, will be released on December 16th. Perfect accompaniment for your Hobbit-theme parties! 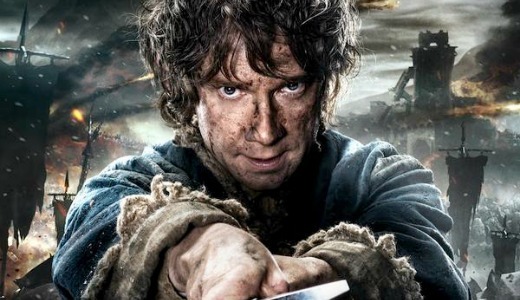 The Hobbit soundtrack out on December 17th! 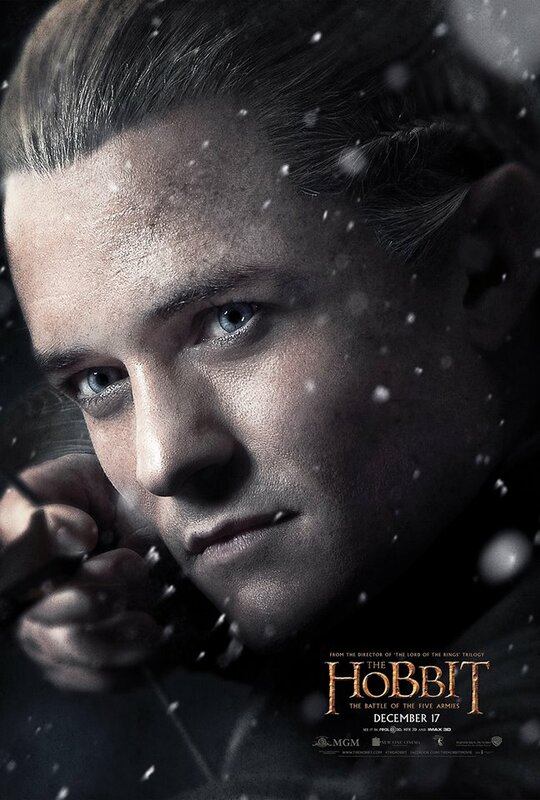 Amazing posters and banners released for The Hobbit! Which are your favorite? The rightful king! The only king! 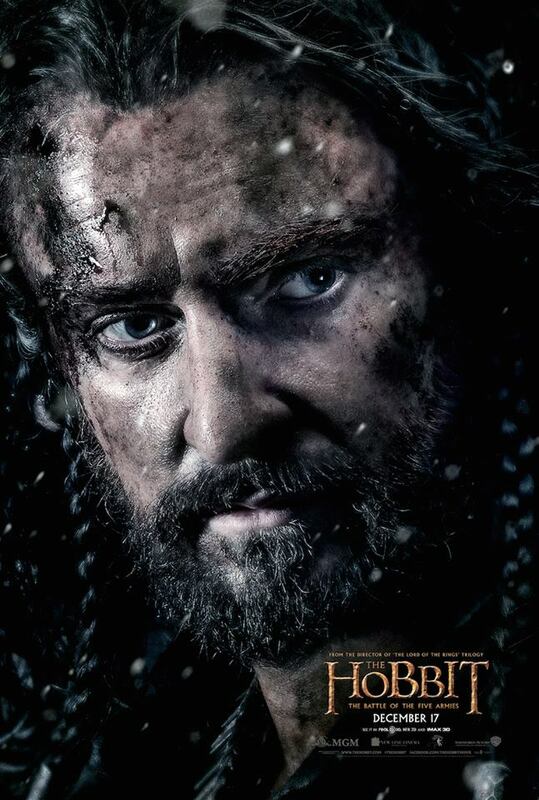 Thorin Oakenshield.